Bavaria is the Texas of Germany - cows and Hightech. If you want to market your product in Munich and Bavaria, then the bayern-domains are made for you. The Sunrise Period of Bavaria domains lasts from 1 July 2014 to September 1, 2014. At the Sunrise Period only brand owner can register a Bayern-Domains.Interested parties for the sunrise period have to register before the trademark at the trademark clearinghouse . The Landrush Period of Bavaria domains running in parallel to the Sunrise Period. During this period, anyone can apply for a Bayern-Bomain. In the Landrush Period applicants from Bavaria have precedence in case of conflicts. If there should be still a number of candidates for a domain, an auction will start. 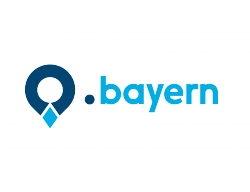 The General Availability of Bavaria domain begins on September 30. It is in this period: first come, first served. Therefore, a pre-registration is recommended. The price is 60 EURO per domain year. In the Sunrise Period the application fee will be added of EUR 120 per application and in the Landrush Period of EUR 20 per application. The Application Fees will not be paid back, if the application fails to succeed, e.g. as a competitor bids more for the domain in an auction. Here you can pre-register your name among the most important New Top Level Domains like the Bayern-domain. Pre-registration is free, but binding. If we secure the name you would like for you, you must pay the domain fee. Initially, we have set the domain fee at 60 US-Dollars per year.